Testosterone levels in woman are naturally lower than men, so the amount of DHT in their bodies is lower too. Due to this difference, hair loss in woman is slightly different than in men. If you pay any attention to entertainment media, you probably have noticed the fact that people tend to pay most of their attention to a woman’s hair, making hair, for women at least, a defining point in personal style. This is the primary reason as to why many women seem to panic at the sight of losing a small amount of hair in the shower! These fears tend to increase every year as women reach their middle aged years and start understand the possibility that they may start losing their hair. According to the American Academy of Dermatology, hair loss is a growing problem that affects about 30 million women in the United States. According to Ted Daly MD, he has “seen woman as young as 15 or 16 develop hair loss problems.” He goes further claiming that the recent increase in young women who are affected is showing that hair loss “is not common, but not that rare either.” Ted Daly is a dermatologist, specializing in treatment of female hair loss, from Nassau University Medical Center on Long Island. 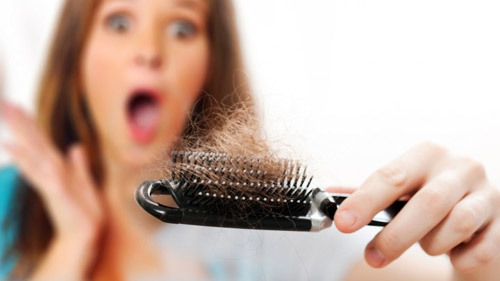 To learn more about how woman hair loss differs, it is important that you learn a little about how hair grows. Experts say our tresses usually grow at the rate of about one-half inch per month — with each hair having a growth phase of two to six years. At that point the hair “rests” for a period of time, then falls out — and the follicle from which it sprang soon starts growing a new strand. And so the cycle continues, usually well into our senior years. In some folks, however — those with a genetic predisposition to hair loss — a group of hormones called androgens interferes with this natural process. According to dermatologist Michael Reed, MD, androgen hormones include testosterone, androsteinedione, and dihydrotestosterone (DHT) — all of which are made in men’s bodies in large amounts, and in women’s bodies in small amounts. In those who are genetically susceptible, when testosterone comes in contact with enzymes residing in the hair cell, it is converted into the more potent androgen DHT, which then binds with receptors deep within the hair follicle. “Over time, an excess build-up [of DHT] in the follicle causes it to begin shrinking, which in turn alters the natural resting and growth phases of the hair,” says Reed, clinical associate professor of dermatology at NYU Medical Center, and a specialist in female hair loss. Some of the follicles eventually die, while others are rendered incapable of producing or maintaining healthy hair growth. 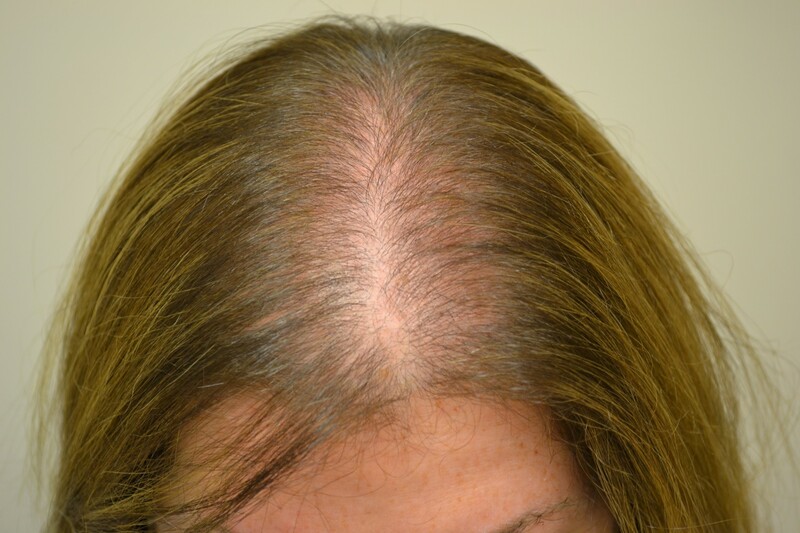 The end result, says Reed, is hair loss — and a condition that is medically known as androgenic alopecia.